Detective Jane Rizzoli and medical examiner Maura Isles are back and they re going into the wild to find a killer. 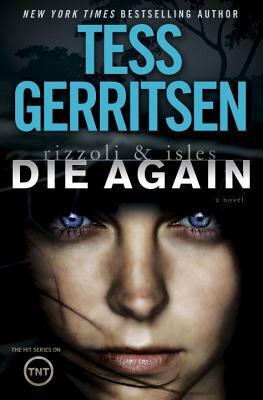 Die Again is the latest heart-pounding thriller in Tess Gerritsen sbestselling series, the inspiration behind TNT's hit show Rizzoli & Isles. When Boston homicide detective Jane Rizzoli and medical examiner Maura Isles are summoned to a crime scene, they find a killing worthy of the most ferocious beast right down to the claw marks on the corpse. But only the most sinister human hands could have left renowned big-game hunter and taxidermist Leon Gott gruesomely displayed like the once-proud animals whose heads adorn his walls. Did Gott unwittingly awaken a predator more dangerous than any he's ever hunted? Maura fears that this isn t the killer's first slaughter, and that it won t be the last. After linking the crime to a series of unsolved homicides in wilderness areas across the country, she wonders if the answers might actually be found in a remote corner of Africa. Six years earlier, a group of tourists on safari fell prey to a killer in their midst. Marooned deep in the bush of Botswana, with no means of communication and nothing but a rifle-toting guide for protection, the terrified tourists desperately hoped for rescue before their worst instincts or the wild animals prowling in the shadows could tear them apart. But the deadliest predator was already among them, and within a week, he walked away with the blood of all but one of them on his hands. Now this killer has chosen Boston as his new hunting ground, and Rizzoli and Isles must find a way to lure him out of the shadows and into a cage. Even if it means dangling the bait no hunter can resist: the one victim who got away. New York Times bestselling author Tess Gerritsen earned international acclaim for her first novel of suspense, Harvest. She introduced detective Jane Rizzoli in The Surgeon (2001) and Dr. Maura Isles in The Apprentice (2002) and has gone on to write numerous other titles in the celebrated Rizzoli & Isles series, including The Mephisto Club, The Keepsake, Ice Cold, The Silent Girl, Last to Die, and Die Again. Her latest novel is the standalone thriller Playing with Fire. A physician, Tess Gerritsen lives in Maine.